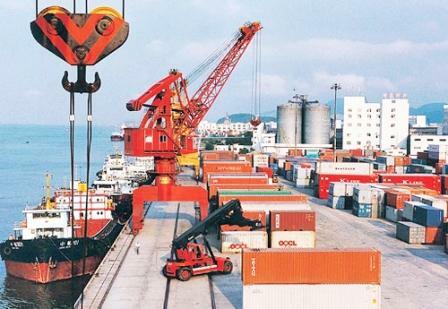 Staff Correspondent : The government has launched a fresh project to develop the infrastructures of three land ports to boost trade with India through regional connectivity. The security features of Benapole land port will also be modernized under the project. The three new land ports are Shewla in Sylhet, Bhomra in Satkhira and Ramgar in Khagrachhari districts. "Under the Bangladesh Regional Connectivity Project-I, immigration and customs facilities will be upgraded through the necessary infrastructural development to expedite trade and business with India," a planning ministry official told. He said the Executive Committee of the National Economic Council (ECNEC) has already cleared the project involving Taka 693 crore. Bangladesh Land Port Authority is tasked with implementing the project by June, 2021. According to the Development Project Proforma (DPP), Shewla Customs Station situated at Biyanibazar upazila in Sylhet district was declared a land port in 2015. The opposite part is Sutarkandi land port which is in Karimganj district of the Indian state of Assam. Necessary infrastructures of the port will be developed for export-import activities. Besides, the operation of Bhomra land port was started in 2013, and open yard, warehouse and other infrastructures have been constructed for it. But, expansion of yard for non-perishable goods appears inevitable for high pressure of cargos. Moreover, after the construction of the Padma Bridge, communication and traffic through this port will be increased for less distance with Kolkata than Benapole land port. On the other hand, the Ramgar land port is situated in Ramgar upazila of Khagrachhari district. The port will be a vibrant place to boost trade with Tripura as the hilly north Indian state has over 400km border with Bangladesh. In addition, the development of the port will pave the way for using Chittagong port. As the Benapole port is a more important land port to Bangladesh the government is implementing "Sasek Road Connectivity Project: Development of Benapole and Burimari Land Ports". But, security measures for Benapole were not included in this project.